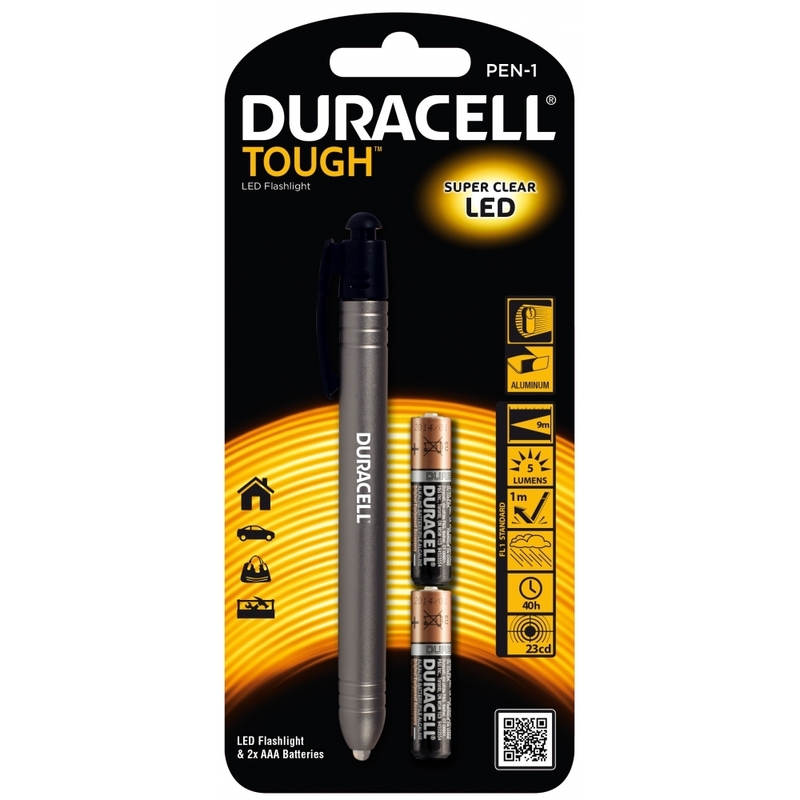 All Duracell Tough Torches give you an ultra-bright, even, white light. All Duracell Tough Torches are constructed out of aircraft-grade aluminum, so they arent big and heavy, just brighter. This Handy Torch in a Pen Size design means your never without a light for added convienence.